Scientists at Rice University in the US have developed tiny spheres that can catch and destroy bisphenol A (BPA), a synthetic chemical used to make plastics that often contaminates water. This new material helps in overcoming two significant technological barriers for photocatalytic water treatment. BPA is commonly used to coat insides of food cans, bottle tops and water supply lines. BPA that seeps into food and drink is considered safe in low doses, but prolonged exposure is suspected of affecting the health of children and contributing to high blood pressure. 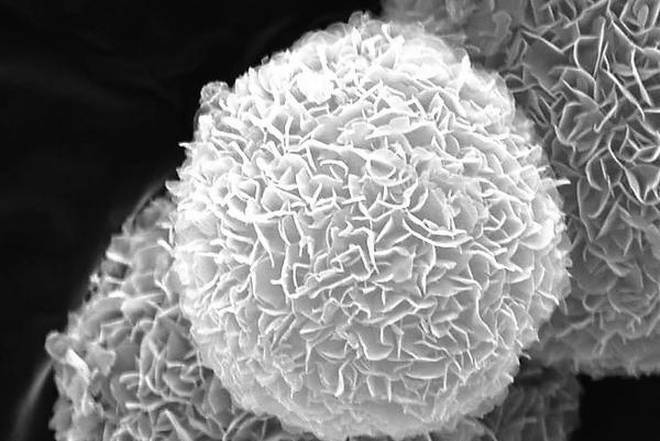 The micron-sized spheres resemble Venus' flytrap (a carnivorous plant) of particles and has tiny flower-like collections of titanium dioxide petals of less than 100 nanometers size. It has a two-faced structure, with hydrophobic (water-avoiding) cavity and hydrophilic (water-attracting) outer surface. BPA is hydrophobic and naturally attracted to the cavity. Once trapped, reactive oxygen species (ROS) produced by the spheres degrades BPA into harmless chemicals. Q. What has scientists at Rice University in the US developed that can catch and destroy bisphenol A (BPA), a synthetic chemical used to make plastics that often contaminates water?